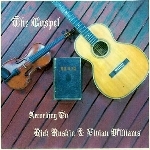 Fingerstyle guitarist Rick Ruskin and fiddler Vivian Williams team up on 12 familiar hymns and spirituals, including “Jesus Loves Me,” “Just a Closer Walk with Thee,” and “I’ll Fly Away,” imbuing them with a strong, buoyant gospel feel. While Ruskin kicks off “Jesus Loves Me” with churchy-sounding block chords, his arrangements draw mainly on ragtime, blues, and other roots styles that evolved alongside the traditional American liturgical genre into which most of these tunes fall. 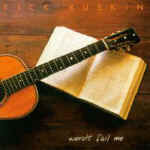 Ruskin gives Merle Travis’ “I Am a Pilgrim” a bouncy, ragtime treatment, and on “Just a Closer Walk with Thee,” he uses a loping rhythmic figure that is a variant of Reverend Gary Davis’ song “Candy Man.” On several tunes­, notably “Swing Low Sweet Chariot” and “Farther Along”­Ruskin simulates a gospel choir with his guitar and provides interesting counterpoint to Williams’ fairly straight melody readings. While most of the CD is a simple duo recording, a bass-and-drums rhythm section propels the duo’s version of “This Little Light of Mine,” where Ruskin rocks out on a deft solo that includes some excellent string bending. Whatever your religious persuasion, this rootsy album is truly a tonic for the soul. Acoustic guitar legend Rick Ruskin gets together with national treasure Vivian Williams and sounding as if they’re sitting together in Rick’s living room, they fashion an utterly delightful recording of gospel chestnuts ranging from “Jesus Loves Me, to “Amazing Grace” to “Swing Low Sweet Chariot” to “I’ll Fly Away.” On each track, Ruskin creates a unique backing arrangement. For one song, the guitar seems slightly formal, for another it becomes mildly funky, for yet another it seems to have been bitten by the jazz bug. 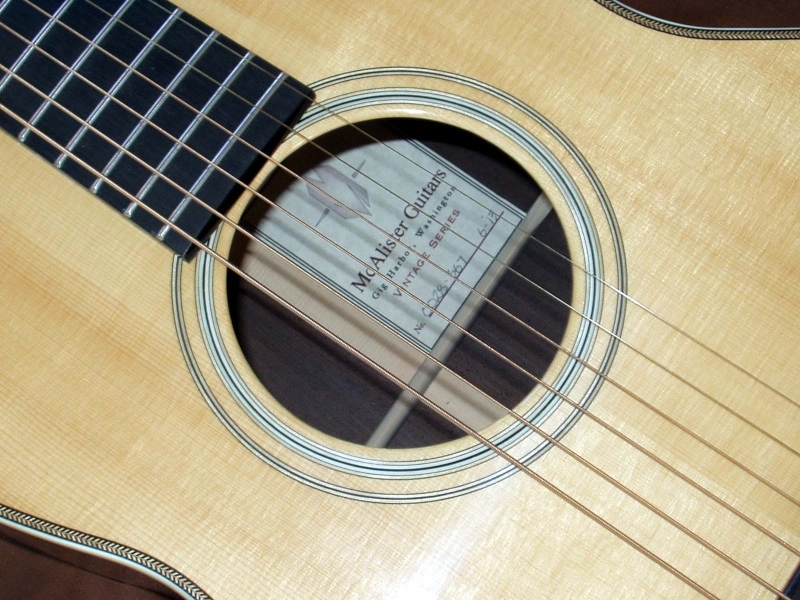 Thus, a set that could have grown mildly tedious – in spite of the players’ craftsmanship – keeps kicking itself into a new groove and stays very much alive. Vivian, throughout, provides a very rootsy reading of each song, her fiddle impeccably clear and rich. Ruskin’s guitar swirls around her traditional sound like a chorus of “Amens” in every possible language… The songs are as familiar as Cheerios for breakfast – but truly, they taste as wonderful as they possibly could. All that sugar and molasses and can I get a witness! You need your own copy of this set. Ruskin is a premiere guitarist taking the 6 string into a melodic easy rhythmic arena that many attempt, but few achieve, as in the jazz ballad feel of "Lullaby" or the warm rolling stop time of "See-Saw." His music flows, is not complex, and depends on accuracy with a joyous warmth as on "Model Railroad." Ruskin is a musician's musician or "How can I play that clean and still interpret?" The ease of how the music rolls of as in "Long Walk Home" is deceptive, you get carried into the corners of your mind, find yourself drifting with the music. In these days of all the high-energy slaps, pull-offs, electronic effects, it is most rewarding to find an inventive guitarist who can deliver the guitar in the original steel and wood sound.............. This is a most rewarding recording which is balanced, clear, clean and the solo guitar pieces like "Heavy Traffic" will stand the test of time for beauty and musicality. Amazing talent. Rick Ruskin, like Fahey, Lang, and Kottke, is a skilled acoustic guitarist who writes his own tunes. The difference, however, is the application of a singular style and viewpoint developed over decades. One of the approaches that distinguishes Ruskin from his colleagues is his defining use of the bass, which, on several of the tunes contained herein, provides a significant accompaniment to the treble melody. This bass accompaniment can be found on Model Railroad, and Glass Guitar" as well as on Hey There, Baby. Many of these songs evidence a pleasing, jaunty feel with low-key funky basslines that keep the melodies moving. Lullaby, by contrast, is as the name implies a soft, lilting, hummable tune perfect to sending a child off to sleep. Ruskin has quite a nice way with a melody, as is most readily apparent on Art By Accident, where the treble lines and accompanying bass complement each other and provide a memorable balance. Satchel, too, is a great, catchy tune which again employs a great funky bassline, as well as some nicely underplayed drumming/finger-snapping. 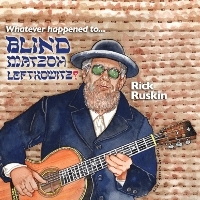 Some of the tunes are almost like old friends---there being something familiar in the tune; Gratitude and Places To Hide come to mind here......... Rick Ruskin is one of those artists with subtlety and skill who deserve a much wider audience. One can only hope that NPR or the like will find this recording and give it a national airing. Ruskin deserves to be heard, as does this well-recorded and generally quite intimate recording.